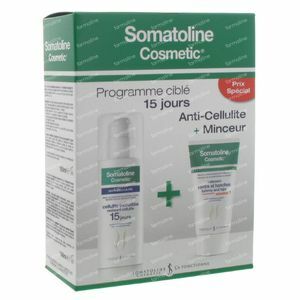 Somatoline Cosmetic Belly And Advanced Cellulite Duo 1 item order online. This treatment is a cosmetic cream, specially designed to slim the tummy and hips area and to improve the contours. The main components are the result of advanced research. They were carefully chosen to effectively take care of the local fat deposits and to slow down new fat deposits. produces a cryothermische operation (hot-cold effect) that stimulates the subcutaneous microcirculation. - for women who are looking for a product that acts on those areas with a long term effect. Apply twice a day enough cream to the treatened areas. Massage the cream in circular movements from the bottom up until the cream is fully absorbed . 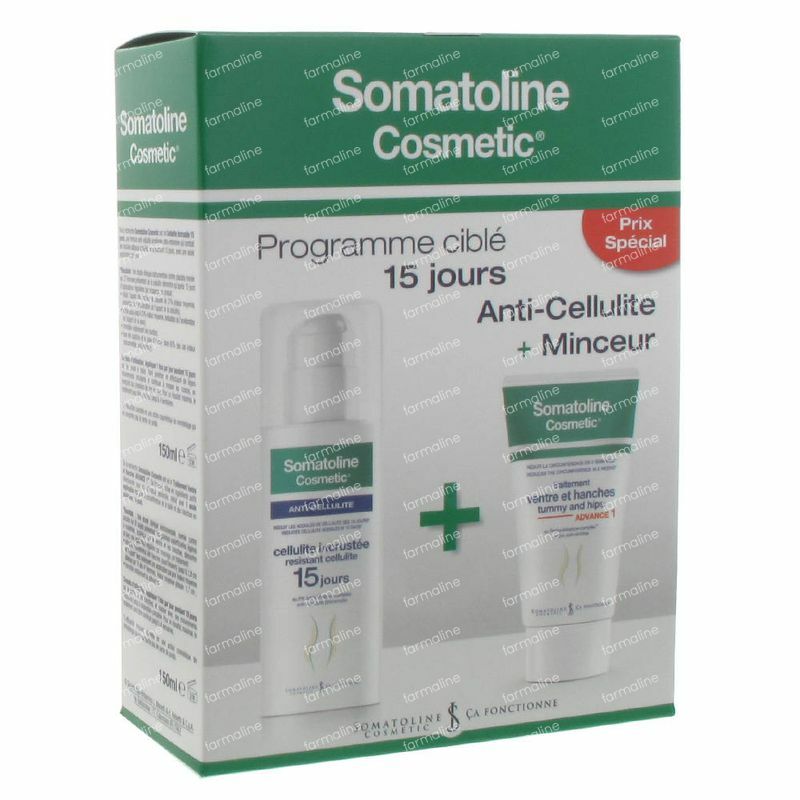 To get the best results it is recommended to use Somatoline Cosmetic Cure for Belly and Hips regular for 4 weeks. Longer use after a course of 4 weeks (every 2 days ) helps to maintain the figure. After a few minutes of massage, you can experience a feeling of warmth. This can be accompanied by a slight tingling sensation, and the skin can be temporarily red. The occurrence and intensity of the possible reactions are dependent on the individual sensitivity. They always disappear completely within a half hour. They are signs of the innovative cosmetic operation of the product. These symptoms will pass and should not be confused with an allergic reaction to the product. In case of excessive redness, wash the affected area thoroughly with cold water. Wash hands thoroughly after use. Somatoline Cosmetic Cure for Belly and Hips contains a Phytoredux complex, an exclusive complex of micro particles of marine algae and active cosmetic ingredients. These active ingredients create a unique cryothermische operation (hot-cold effect) that stimulates the subcutaneous microcirculation, promotes the expulsion of excess moisture and makes the skin firmer. Brown algae helps to reduce the accumulation of subcutaneous fat deposits. -visibly remodels the silhouette profile. *The reduction in circumference is due to the cosmetic remodelling action of the product during use, which does not involve weight loss.